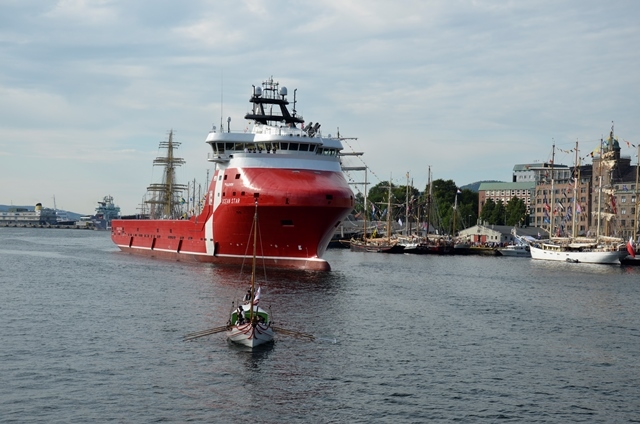 More that 100.000 people watched Alisson Øgreid name PSV Ocean Star during the Tall Ships Races in Bergen. 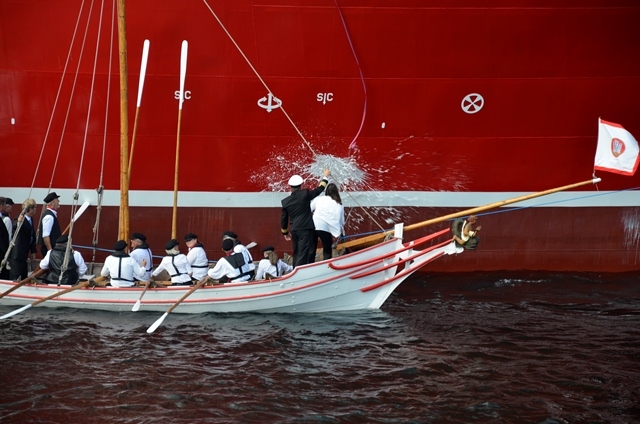 An amazing event, where Atlantic Offshore was proud to represent 200 years of shipping tradition together with Enigheden a replica of the vessels used for the local Eidsvollsmen in 1814, and Statsråd Lehmkuhl built in 1914. The star for the evening was Ocean Star, a modern, well equipped platform supply vessel. The vessel is designed by Wartsila in Ftjar, built at Kleven, Myklebust and operates out of CCB Aagotnes by Atlantic Offshore. 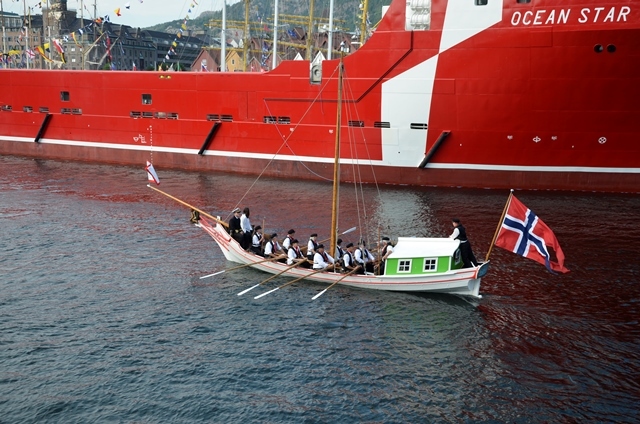 Read more about the naming ceremony at Tall Ships Races Bergen’s webpage.